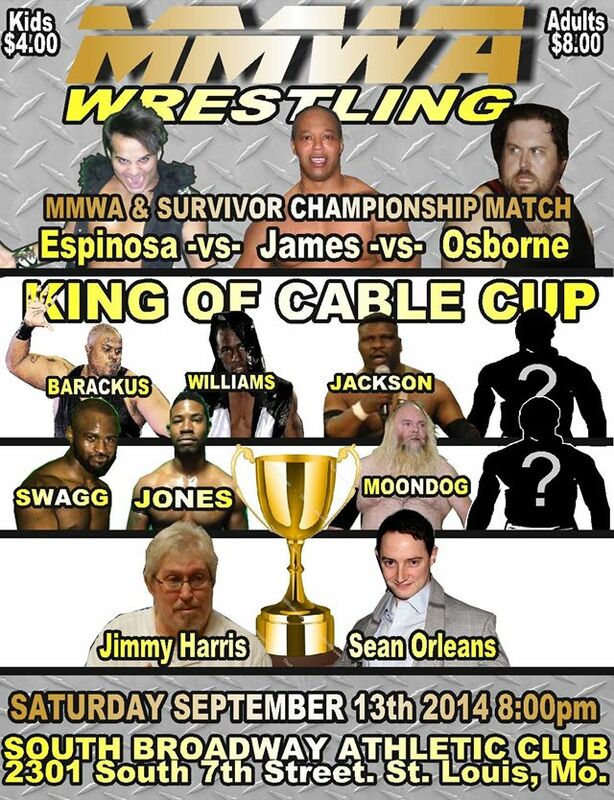 The King of Cable Cup single elimination tournament is this Saturday, September 13 at the South Broadway Athletic Club. The winner gets a shot at any title at any time he wishes. J-Mal Swagg, Barackus, tag champ Da’Marius Jones, tag champ A.J. Williams, Gary Jackson, TV champ Moondog Rover, Evan Gelistico, and Tony Kozina. In order, the past winners are: Brandon Espinosa, Dave Osborne, and Brian James. All of them have parlayed those tournament victories into realized championship reigns. This year, those three will face one another in two different three-way matches. 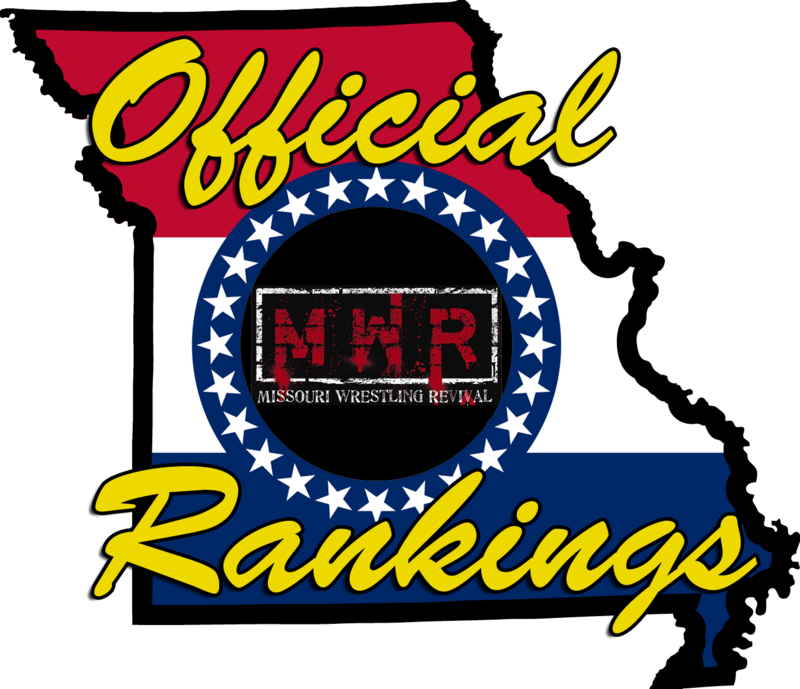 The first three-way will be for Osborne’s MMWA Survivor Championship. The second match will see Espinosa’s MMWA Heavyweight Championship on the line. Also on the card, Everett Connors defends his MMWA Junior Heavyweight Championship against Co-Commissioner Sean Orleans. Bell at 8. For advance tickets, call (314) 778-4833.